There are some easy ways to personalize your rental space without putting your damage deposit at risk. There are plenty of reasons to rent in Seattle: avoiding the competitive real estate market, skipping the extra costs of homeownership and the freedom to try out different neighborhoods before settling down. Despite all the perks, it can be difficult to feel truly at home in a rental property without adding your own décor. However, altering someone else’s property comes with risk. Any unapproved structural or aesthetic change could mean forfeiting your security deposit and incurring other fees at move-out time. 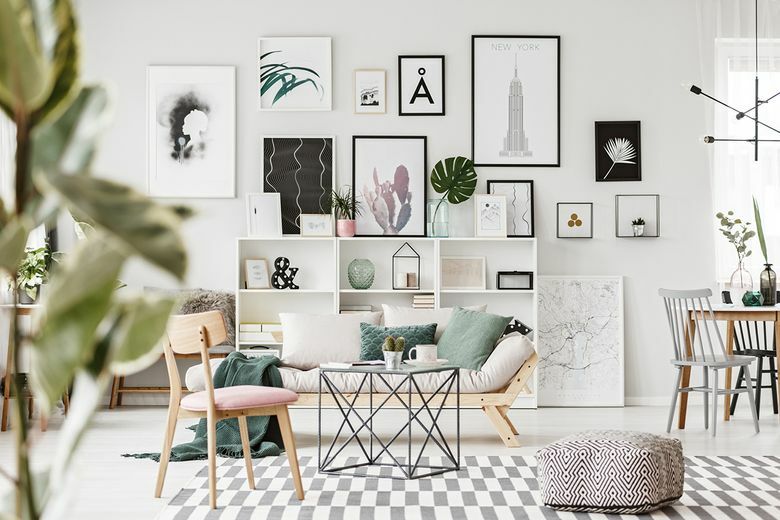 If you’d like to decorate but are worried about the consequences, fear not: there are a few easy ways to personalize your rental space. If you like patterns and texture, another option is removable wallpaper. Spoonflower, a popular digital printing company, offers a line of customizable products that allow you to choose the designs and colors that work best with your space. If you’d rather keep it simple, MacNichols suggests having a few favorite photographs professionally printed and framed to display on a single wall, and she advises skipping the hammer and nails. “Hang them with removable adhesive strips or hooks and create a bold statement,” she says. Style your windows. Windows are an essential piece of any home, and they also present an opportunity to create a cozy environment. “Window treatments with color, a weave or pattern can bring texture and softness into a space,” MacNichols says. Use drapery panels with a blackout lining to combine style with function. Most window treatments come in various sizes to accommodate standard window heights, which means there’s a good chance you can use them in a future home. Don’t underestimate the lighting. Environment can play a significant role in your overall mood, and lighting is a big part of the equation. Scientists at the Lighting Research Center in Troy, N.Y. report that spaces using natural daylight boost the productivity and comfort of those inside. While dressing up your windows with shades and curtains, don’t forget to flood your home with as much daylight as possible. Whether your rental is long-term or temporary, there’s no reason to feel like a guest in your own home. Talk to your landlord, channel your creativity and design an interior that makes you feel calm and comfortable.